Phihong recently introduced the highly efficient 20kW/40kW/60kW movable DC Chargers featuring GB/T compatibility interface and high output power, allowing full charge in a shorter time period for electric vehicles. Equipped with intelligent RFID card reader and user-friendly 10.4″ or 7″; touch screen, Phihong’s 20kW/40kW/60kW EV DC Chargers provides a simple, efficient, and safe charging experience. Phihong’s 20kW/40kW/60kW EV DC Chargers also come with Ethernet based connection, enabling users to easily connect chargers with back office for remote assistance, trouble-shooting, repair, and upgrades. Moreover, the charging gun has electronic lock function which ensures safety during charging process. 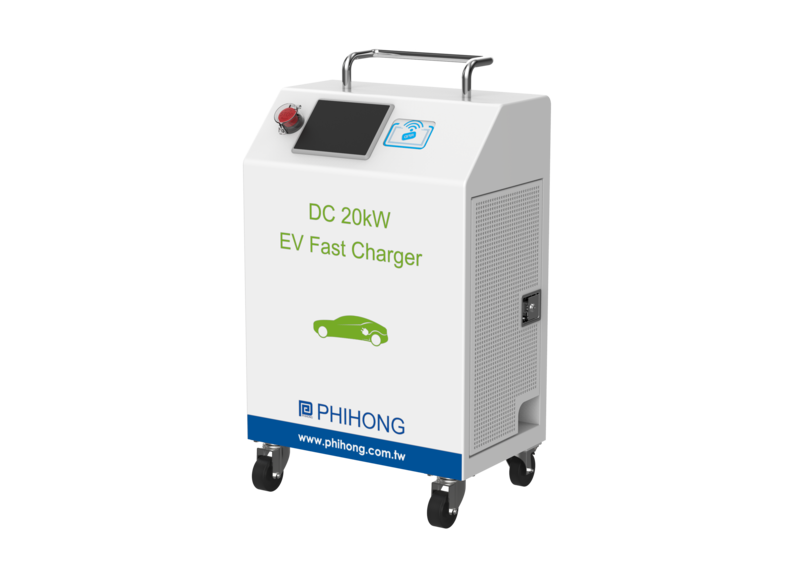 With flexible application and easy installation, Phihong’s 20kW/40kW/60kW EV DC Chargers are ideal for electric vehicles with 200-700 voltage battery such as electric bus and electric city utility car. 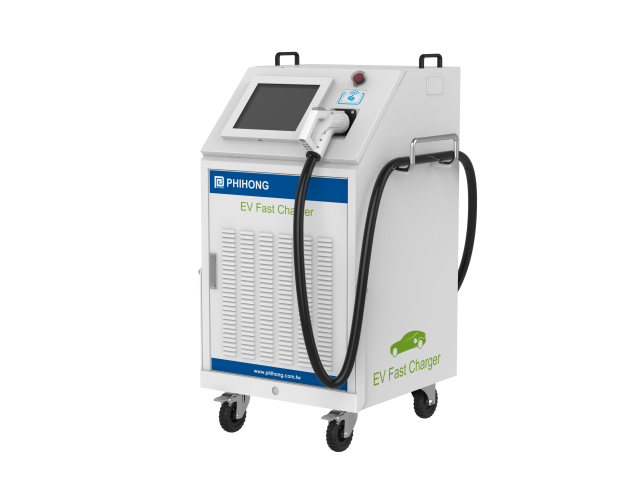 We also offer narrow range charging voltage (200-500V) and low charging voltage (30-100V) models to choose from.